The folks over at Truecaller teamed up with Huawei a few weeks ago to bring their Android application to the Chinese company's flagships smartphones. 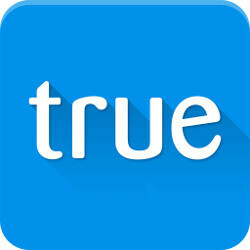 That's one more reason for Truecaller to keep improving their application with new features and enhancements. But since the Android version is much better than the Windows 10 Mobile app, the developers have decided to give some love to this particular iteration. Truecaller announced that the Windows 10 Mobile application now features improved Called ID. But what exactly does this mean? Well, first of all, the developers added Offline Caller ID, so you can identify callers even when not online. Also, Caller ID now shows the profile picture of the identified caller, so you'll immediately recognize friendly faces. Naturally, these aren't the only new feature included in the latest Truecaller update for Windows 10 Mobile devices. The developers added the ability to tag users, as well as the option to suggest a better name for identified calls. Long-time users will also notice that contact request notifications can now be accepted or denied without opening the application. The new update adds prefix and suffix, which enables users to improve Called ID by removing any extra numbers on their operators or company might add to an incoming call number. You can also open social profiles in device browser rather than login to your account inside the application. Last but not least, Truecaller for Windows 10 Mobile now features universal notifications, so you won't have to miss a notification, even if you're away from your phone since they will be synced with the PC. If you already have Truecaller installed on your Windows 10 Mobile device, then you can check for the new update in the app store. Otherwise, you can download and the check it out for free. "The developers added the ability to tag users, as well as the option to suggest a better name for identified calls." Seriously, the number one reason I would never use your dialing app.